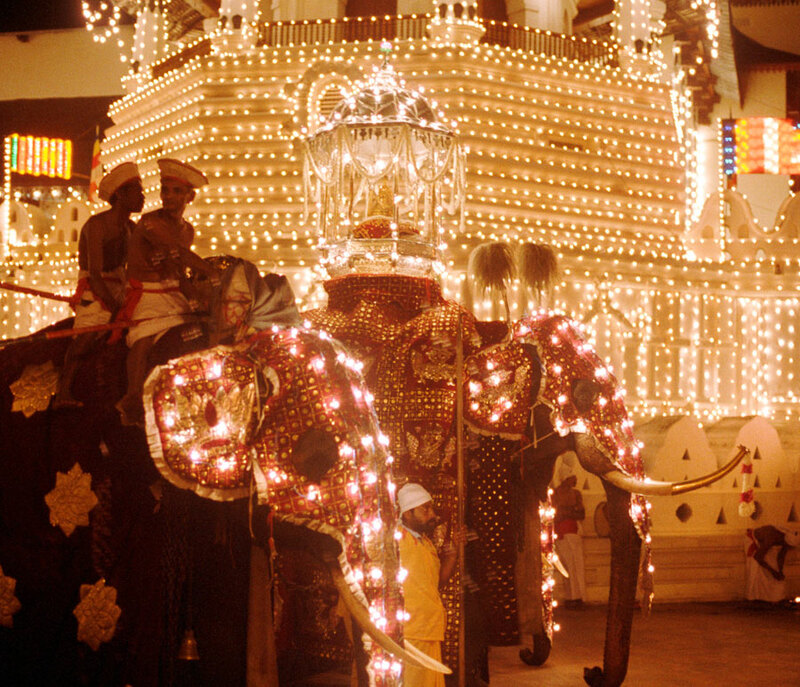 Kandy is the last Kingdom of Sri Lanka for the Sinhala Kings before British colonization. 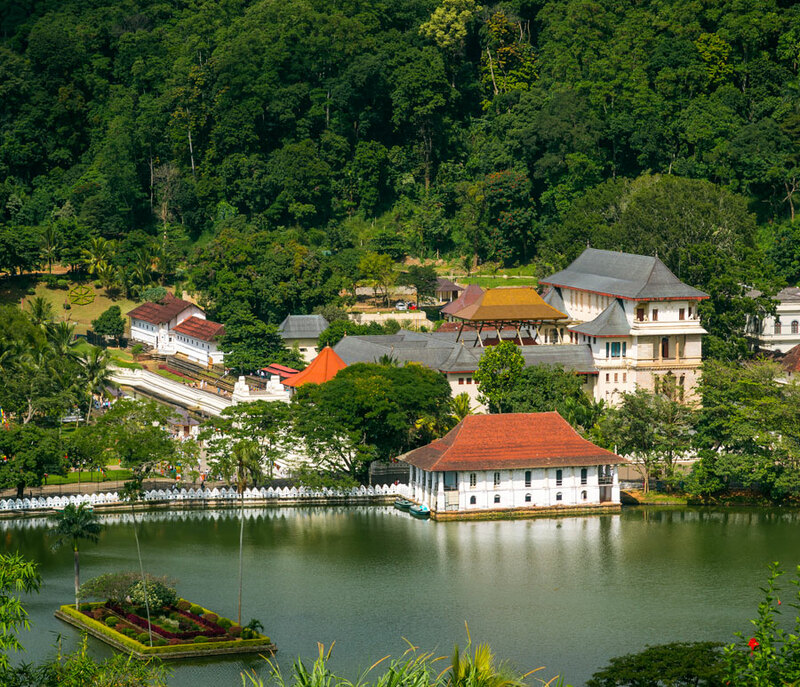 Kandy is most popular for its natural beauty with the relaxing climate and for the most popular Temple of the Tooth relic where Lord Buddha’s tooth relic is placed sacredly which is a UNESCO world heritage site. With its natural cool temperature Kandy holds the most beautiful garden which is known as Peradeniya Royal Botanical garden where you can see around 4000 species of plant. 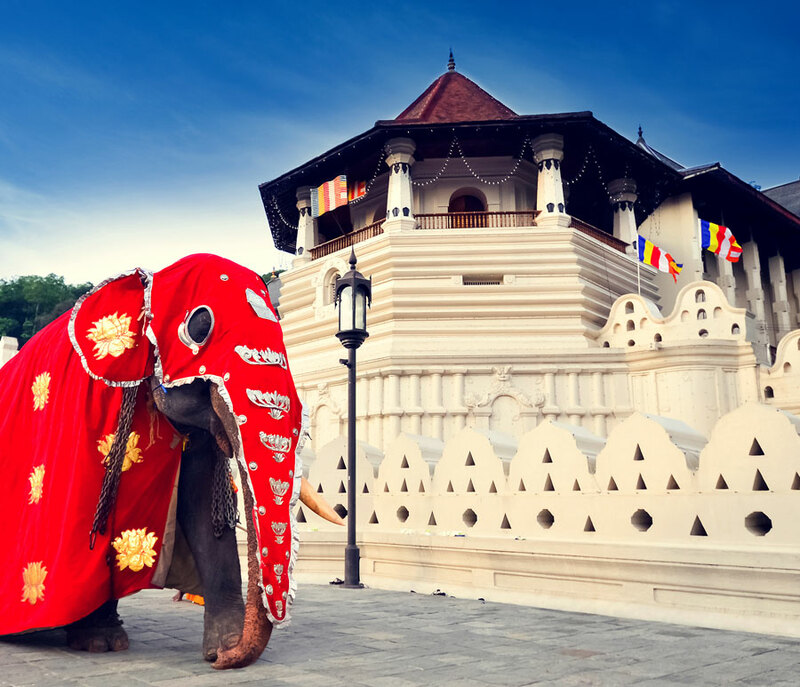 Kandy is a great place for relaxing, souvenir shopping and to learn about Sri Lankan culture and heritage. Pick up from hotel in the morning and start the journey to Kandy. 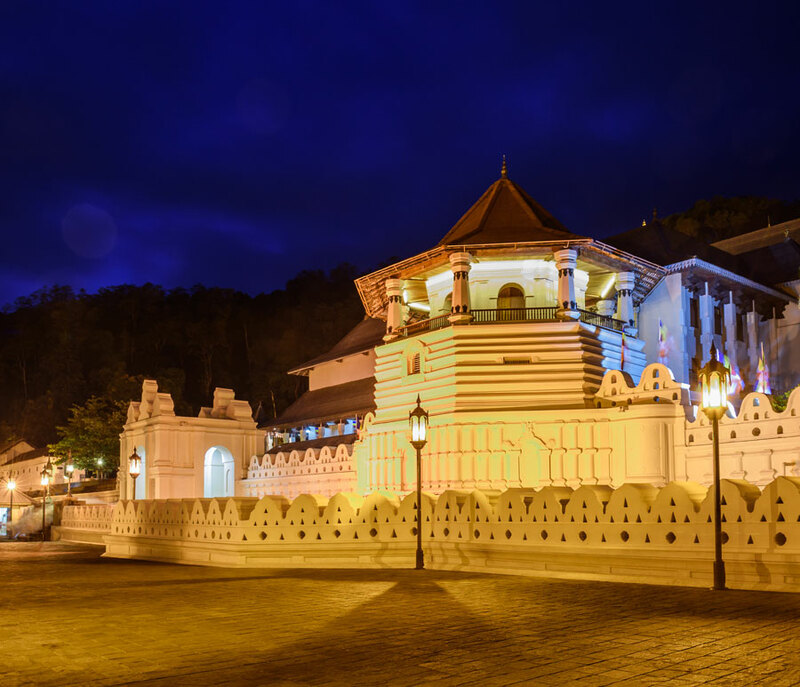 Arrive in Kandy and first you will visit the Kandy Temple of the tooth relic. 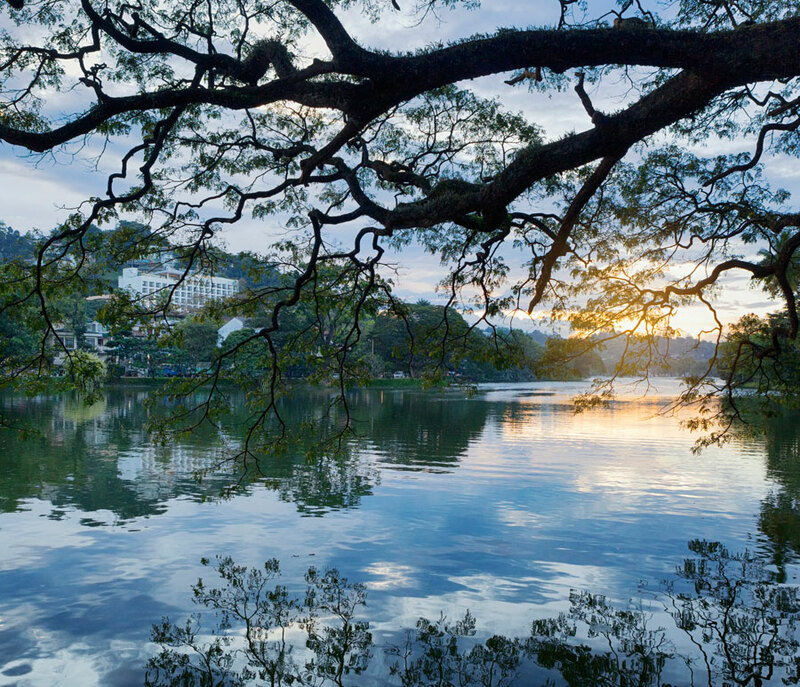 Take a walk around the most famous Kandy Lake feeling the cool breeze and witnessing the Kandy way of life. After the soft walk you can have lunch at “The Pub” restaurant enjoying a chilled Beer having a good view from above the city center. After lunch you will visit the Peradeniya Royal Botanical Garden which is famous for its collection of Orchids and Fauna. After the visits you will return back to Colombo after a memorable trip. Includes: Private transportation by Air-Conditioned vehicle throughout the day tour with an English speaking Driver.